Egyptian and Japanese experts in Tutankhamun's tomb. Situated behind the N. and E. walls, they seem to contain either metal or organic material. 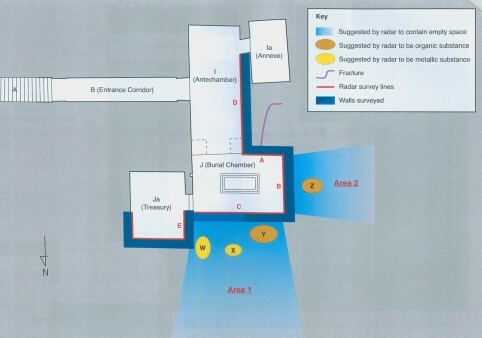 Two chambers are hidden behind Tutankhamun’s tomb wall, Japanese scanning shows. 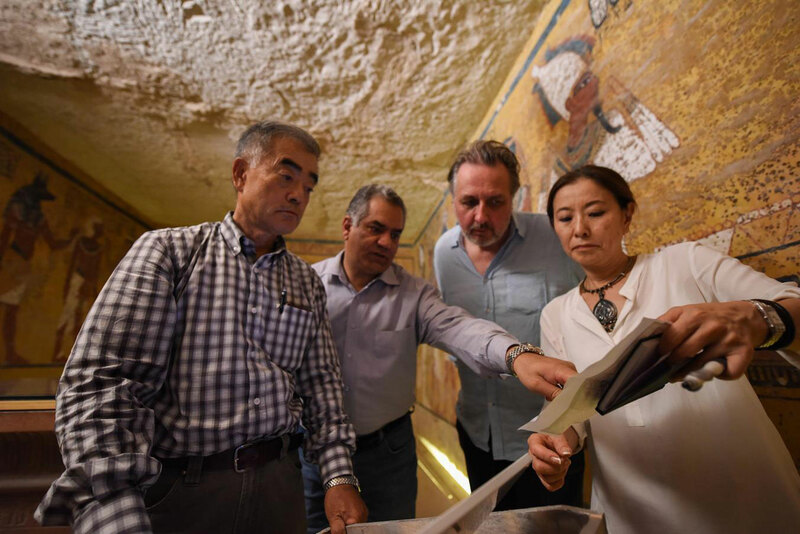 Egypt’s Ministry of Antiquities has announced that scans carried out by Japanese radar specialist Hirokatsu Watanabu revealed two more chambers behind the N. and E. walls of the boy King’s tomb. The two spaces also seem to contain either metal or organic material. New scans are set to be conducted later this month to determine the exact dimensions of the chambers, said the Ministry. The revelations come months after Egypt’s Minister of Antiquities said there was a 90 percent chance that a hidden chamber lies behind King Tutankhamun’s tomb in the Valley of the Kings. It also seems to suggest a further step towards the “there is more to find” theory brought forward by leading Egyptologist Nicholas Reeves. However, there is still nothing to suggest the connection of the hidden chambers with Queen Nefertiti, which forms an important part of Reeves’ theory.